Devon Welsh has one of the most striking voices in the current music scene. I’ve watched him silence crowds notoriously known for being noisy, and I’ve let his voice haunt my listening habits for the last year or so. His album Impersonator was our #1 choice for Top 2013 Albums, and I can’t wait for his next outing. To hold us over, he’s unleashed a great interactive video to accompany his brand new song, which you’ll find HERE. 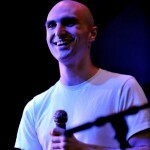 At the moment, I’m pretty sure that there’s not a whole lot Majical Cloudz can do to sway us away from our supreme fandom. You can also listen to the tune below….and wait patiently for the next genius release from the act. 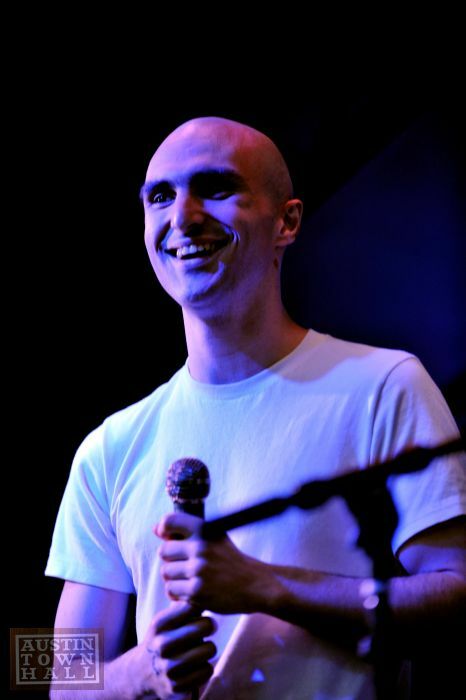 Without a doubt, the music of Majical Cloudz is something that’s really reinvigorated my faith in music. I’ve caught the duo on several tours through Austin, and was floored by how powerful Impersonator was. Today we bring you the latest tune from the act, which again, really just focuses on this simple layering in the distance, while Devon Welsh’s vocals carefully walk along the soundscape created by his partner. In my mind, there’s never a bad time to post a song by this group, and if you haven’t, you should go visit their recent LP; it’s remarkable. 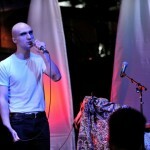 Majical Cloudz burst on to the scene earlier this year with the release of their stellar album Impersonator. 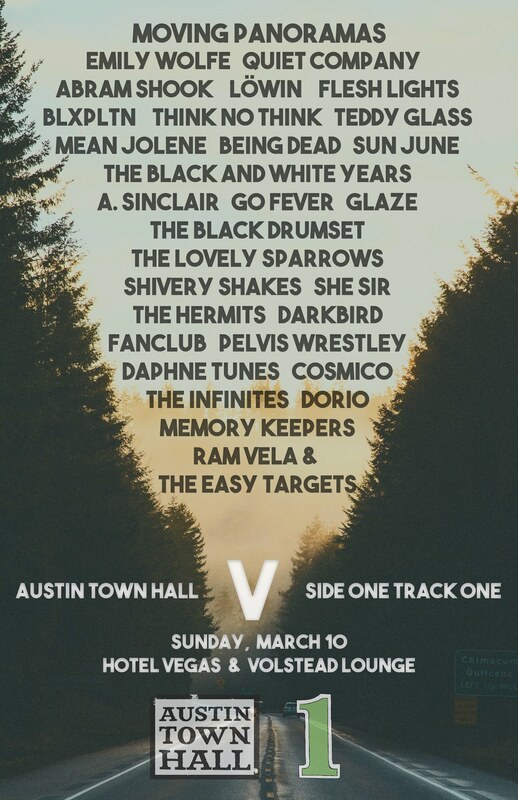 With all the positive buzz created from that release, I’d think that their show going down at Red 7 on Saturday night would be highly anticipated by music fans in town. To make this even more enticing, ATH favorites Moon King will also be on hand providing opening support. Nasty Nate did an interview with those guys that you should also check out. See ya there? Occasionally a voice is so striking, so brave, that it’s virtually impossible to ignore. From the moment you press play on Impersonator, you’ll find that you, too, are unable to turn your back on Devon Welsh. 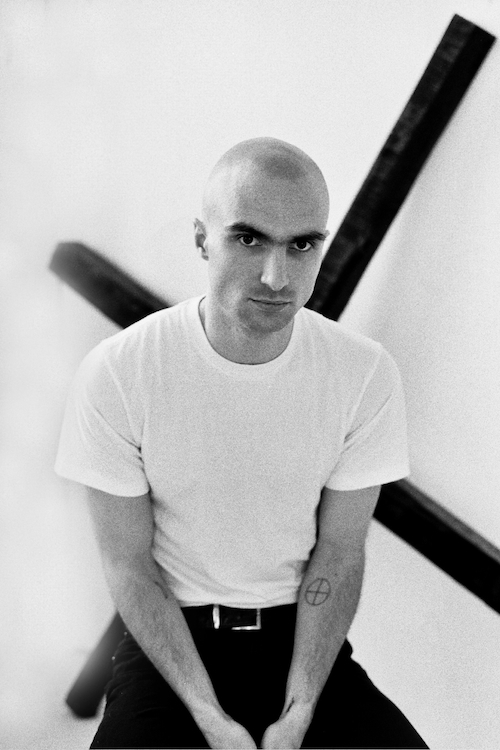 His Majical Cloudz project is possibly not the most musical piece out there, but that voice will forever brand itself into your subconscious. The title track from Impersonator sets the tone for your listening experience immediately; it has a light atmospheric wash and some vocal samples spun in reverse, all before Welsh makes his first appearance. 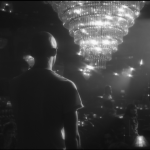 “I’m a liar, I say I make music,” might resonate at this point, but his work within the realm of his vocals is so striking that your intrigue will win out, pushing you onto the next track. “This Is Magic” ups the musical ante, utilizing a light pulse in the distance to make way for Devon to forever cement his voice in your life. Within the first few lines, he comes in deep, then let’s the vocal soar to loftier heights, quietly repeating syllables. There’s no going back. 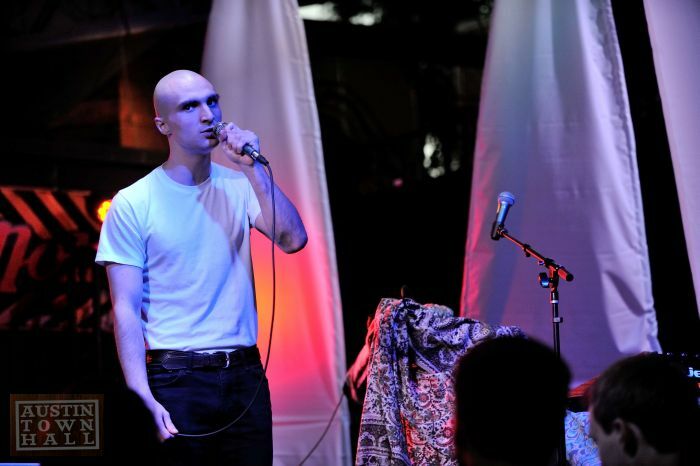 Majical Cloudz isn’t a project that needs much more than just stripped down accompaniment to set the stage for everything in between. On “Bugs Don’t Buzz,” the hammering of chords sets a stark tone, and besides the heavenly performance from Welsh, you won’t get too much more. At times, his companion in arrangements, Matthew Otto, turns up some ambient noise, and it perfectly accentuates the performance, or clears space for re-introduction. And then it’s gone. It’s over. Yet you quickly go back to check yourself, wanting to be sure that the moment you just experienced lives beyond a snapshot in the past. One of the things I like about Impersonator is the self-deprecating seriousness of Welsh. It’s clear at a certain point that he doesn’t entirely take this project, or at least the lyrics, as seriously as one would expect, considering the musical approach. There’s a childishness, or perhaps a bit of whimsy that enables your ears/heart to attach themselves either to the vocal or the lyric, which happen to be two very different things. Simplicity is rarely as successful as it is throughout the entirety of this album, and you won’t be able to escape the pleasure, as it provides an absolute clarity that benefits the entire listen. I can’t explain Impersonator to anyone; it has to be heard in order to be completely understood. It’s existence, in a musical landscape burdened by “lo-fi” or “noise rock,” is extremely refreshing. Each track begs to be heard, and in fact, deserves to be heard; you’re not going to find a song that’s worthy of skipping throughout. Yes, in the end, Devon Welsh and his voice will be the force that wins you over. But, the concept and the execution are so perfect that you’ll be hard-pressed to find anything this year as endearing as this release from Majical Cloudz. 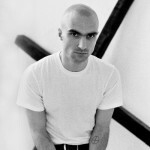 Matador Records continues their push to diversify their catalogue by adding Majical Cloudz, the songwriting project of Devon Welsh. 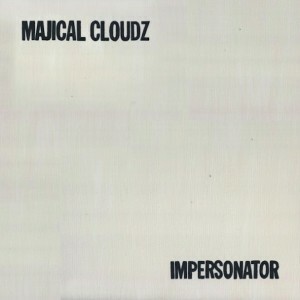 The label will be releasing the Impersonator, the new full length effort, on May 21st. It takes time for this track to open up to you, much as I expect it will take time to absorb the music within the album…I mean that in a good way. Electronic flourishes slowly trickle in just before Welsh’s deep voice slowly unfolds. I like the almost operatic quality of the voice; it’s not too over the top, yet it’s far from ordinary. I think people are really going to find something to sink their teet into here.